Vilnius Town Hall. The hall building was at first gothic, later it changed. Last time the Town Hall building was rebuilt by a famous architect Laurynas Gucevicius in the 18th century. 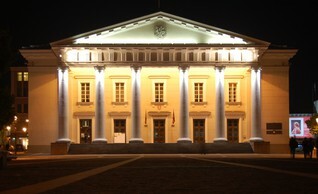 Today Vilnius Town Hall is a representative building where the most important city events are held. The Cathedral. Saint Stanislovas and Saint Vladislavas’ Cathedral is the most important sanctuary for all the catholic of the country. It is the place of Christian, national and state events. Royal Palace of the Lithuanian Great Duchy. The renovation of the lower castle of the Lithuanian Great Duke's Palace in Vilnius is one of the most important projects of the Lithuanian Millennium Program. Since the times of the first Gediminids, most of Lithuanian rulers were residing here. Vilnius at that time was one of the biggest centres of Middle Europe. In the Royal Palace of the Lithuanian Great Duchy you can see permanent exhibits, which illustrate the functions of the historical palace; there are a lot of findings as well as the palace development models, iconographic material and text comments. Presidential Palace. 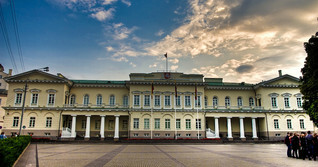 Presidential Palace was built in Simonas Daukantas Square. 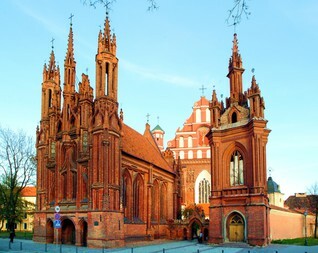 Since the 16th century, it was the residence of Vilnius bishops. Today, it is the workplace of the president of Lithuania and her office; rulers of other countries are welcomed there. The president‘s flag above the Presidential Palace is taken down when the president leaves the country. Every Sunday at 12 p.m. a solemn ceremony of changing flags is held. A lot of people gather to watch it, Lithuanian Military Honor Guard soldiers in modern full-dress uniforms and medieval armor participate in the ceremony. On Friday and Saturday free tours around the Presidential Palace are organised. Vilnius University. 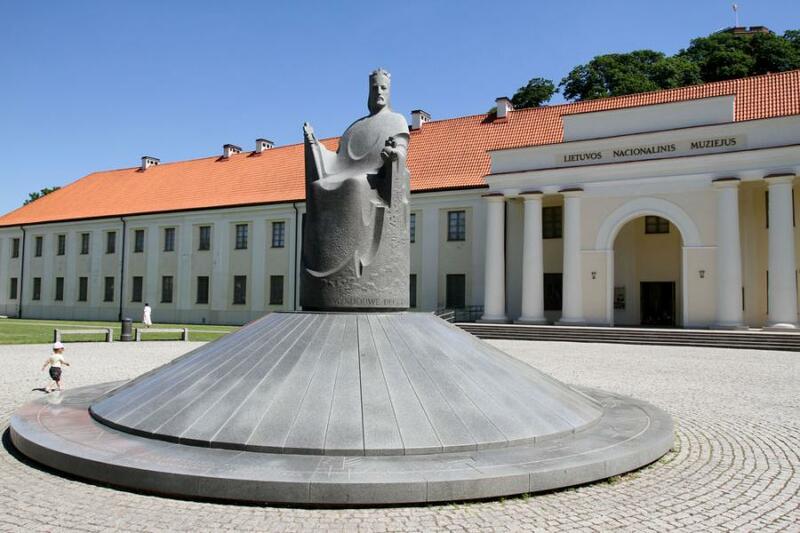 It is one of the oldest universities in Eastern Europe. 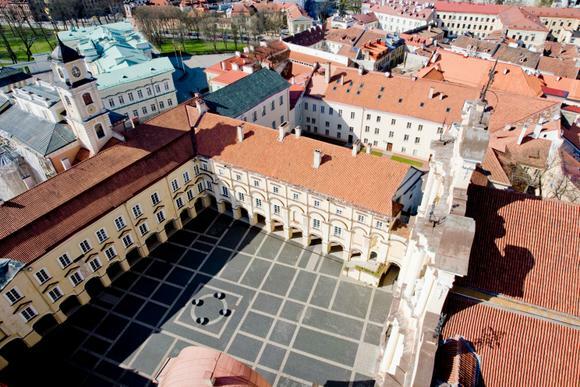 The complex of Vilnius University has been forming for two centuries, that's why it contains the buildings of gothic, renaissance, baroque and classicism architecture. A library, established in 1570, is open there too. It has more than 5 million books and old manuscripts. Among them – one of the two copies of the world-known first Lithuanian book – the original of Katekizmas by Martynas Mažvydas. Gediminas Castle. The Gediminas Castle exposition greets with the 14th and 16th century Vilnius castle reconstruction models, armor, and iconographic material of the old Vilnius. On the top of the tower there is an overview deck, from which you can observe a spectacular panorama of Vilnius.Gediminas Castle. The Gediminas Castle exposition greets with the 14th and 16th century Vilnius castle reconstruction models, armor, and iconographic material of the old Vilnius. 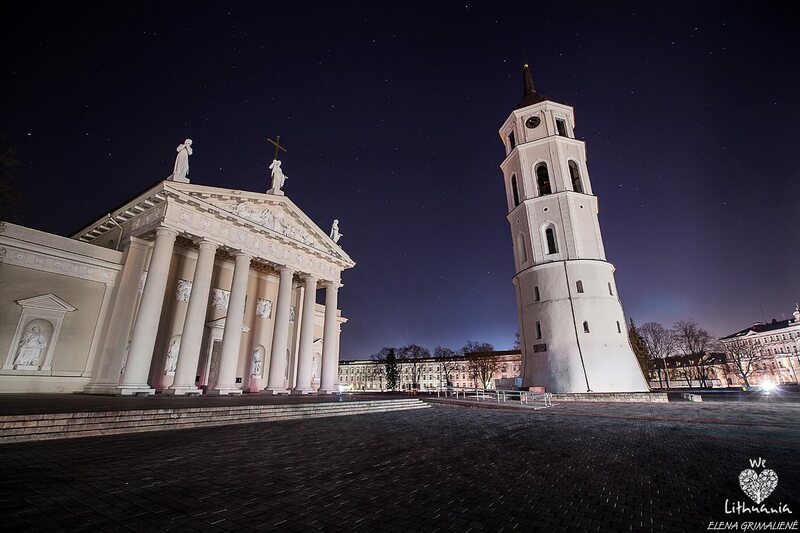 On the top of the tower there is an overview deck, from which you can observe a spectacular panorama of Vilnius. The Gate of Dawn – Today, for many people the Gate of Dawn associates with a place for prayer. But some centuries ago, if you had heard this name, you would have thought about a defensive wall. The thing is that the defensive wall of Vilnius used to have ten gates, and the Gate of Dawn is the only one left from those ten. 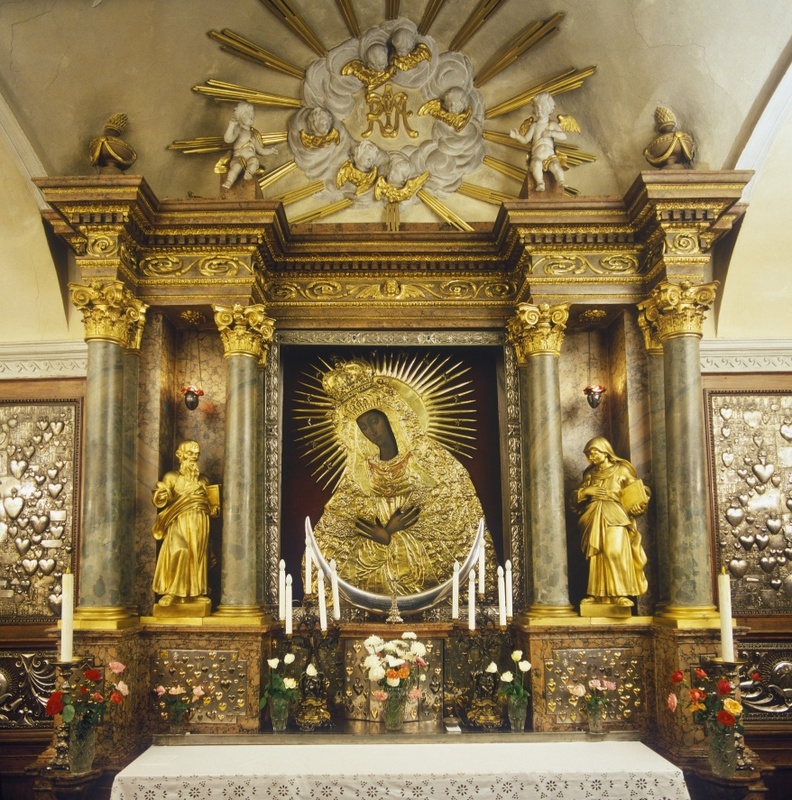 The magical picture of saint Virgin Mary, mother of Mercy, which is displayed in the chapel of the Gate of Dawn, is one of the most famous renaissance paintings in Lithuania. 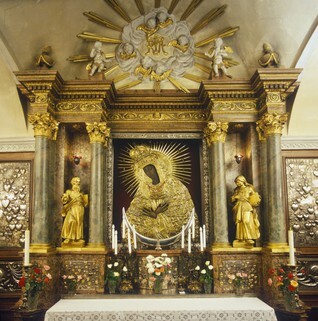 It is also called the Madonna of the Gate of Dawn or Vilnius Madonna. St. Anne‘s Church. St. Anne‘s Church is one of the most beautiful and probably the most famous buildings in Vilnius. It is a masterpiece of late Gothic. It is surrounded by a lot of legends. One of the most famous is that when Napoleon saw St. Anne‘s Church, he wanted to take it back to Paris on his palm. Regrettably, the reality isn't that romantic: while Napoleon was marching across Lithuania, the church was given to the French cavalry. National Art Gallery. 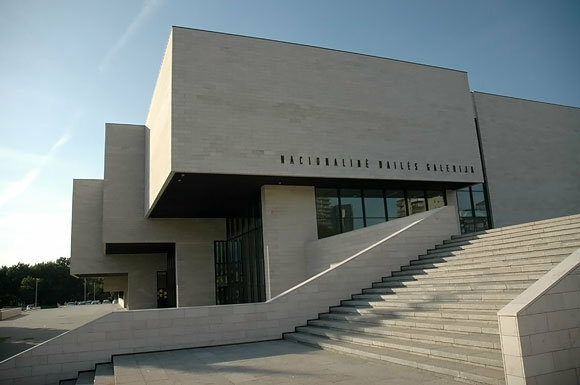 National Art Gallery is the most modern museum in the Baltic. It is located in a famous building of the Lithuanian modern architecture. 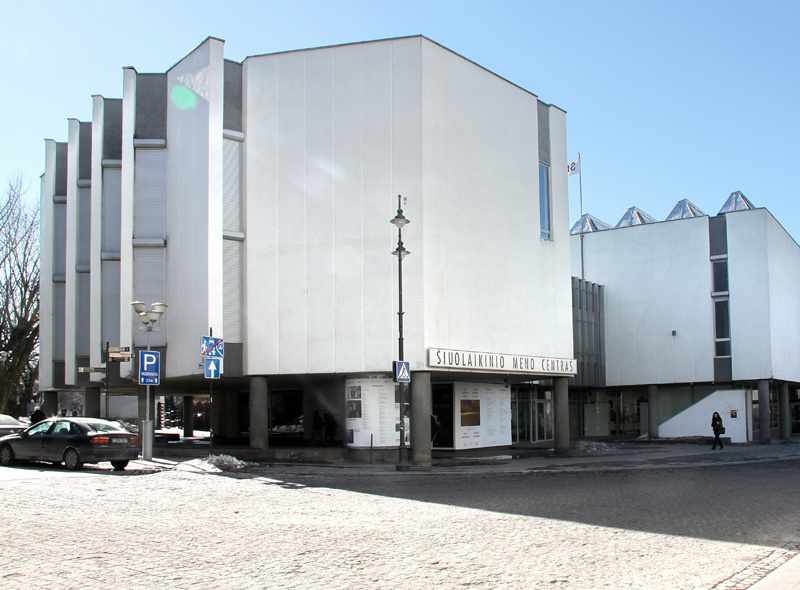 After reconstruction, it houses a unique exposition of the 20th century Lithuanian art and a lot of works of art by the most famous Lithuanian artists: paintings, sculptures, graphics, photography, and modern works of art from the 20th century up to nowadays. International exhibitions as well as a lot of educational activities for children and teenagers are held there. Bernardine Garden. The most beautiful park of the city – the Bernardine Garden – is located in the heart of Vilnius, between the Hill of Gediminas Castle, the River Vilnelė and the Benardine Monastry. 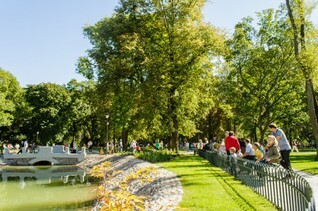 After reconstruction, which lasted more than a year, in 2013 the park was restored to its authentic look of the 19th century. According to the historians, for a few centuries a bigger part of the territory was covered by a garden, which belonged to the Benerdines. In memory of the garden, a monastery garden exposition was developed, with medicinal herbs, potherbs, and edible and tea plants. In the park you can visit the restored old park elements: alpinarium, pond, the Belvederis Hill, central square, or walk along the River Vilnelė and admire the fountains, one of them being musical. The Museum of Genocide Victims. It is the only museum in the Baltic, located in the same building where from 1940 to August 1991 the Soviet repressive institutions NKVD and NKGB-MGB-KGB were working. In the basement of this building there was a jail and an investigation isolator where from autumn 1940 until 1987 the Lithuanian people who did not please the occupational authorities were imprisoned. 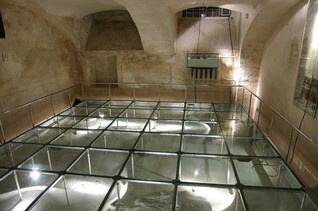 Visitors can see the exposition displayed in the former death sentence chamber. Lithuanian National Museum. It is the biggest storage of the Lithuanian historical cultural heritage. 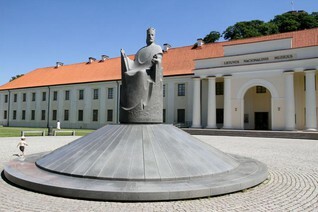 It is the oldest museum in Lithuania. It dates back to 1855 when the Museum of Antiques was opened in Vilnius. The exposition displays authentic exhibits reflecting the Lithuanian history, traditional Lithuanian culture and traditions. 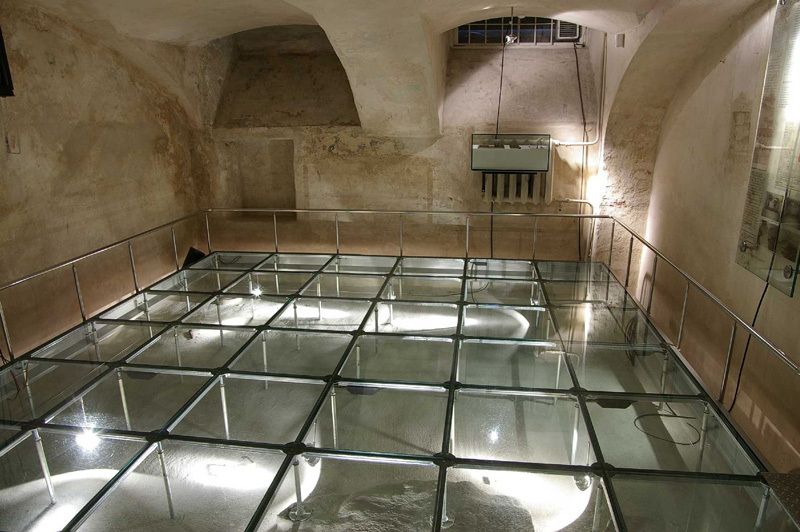 The Vilna Gaon State Jewish Museum. 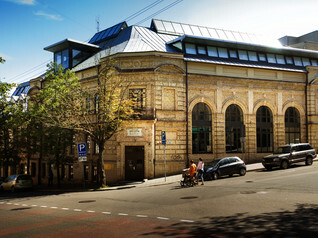 The Vilna Gaon State Jewish Museum is a national state-funded organisation that keeps, stores, researches, restores and displays historical, material and spiritual heritage of the Lithuanian Jews, traditional and modern objects of the Jewish art and the holocaust-related documents and items. 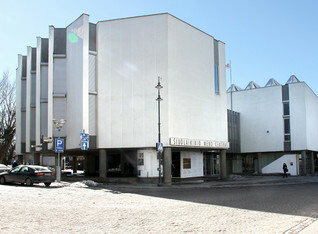 CAC – Contemporary Art Centre – is the biggest art center in the Baltic. It displays the works of famous local and foreign artists but the most important trend of activity of the CAC is to present the latest trends of international art. St. Peter and St. Paul‘s Church. It is the most famous church of the baroque style in Vilnius, which is notable for its special interior. 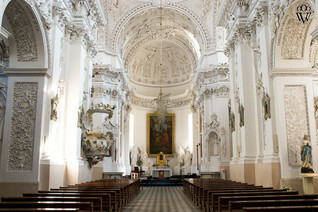 Inside the church you can see about two thousand of stucco statues.